Home Cryptocurrency Articles Is Ripple a unique investment coin? Ripple stands out against the background of other cryptocurrencies. Actually, it is extremely difficult to even call it cryptocurrency in general. 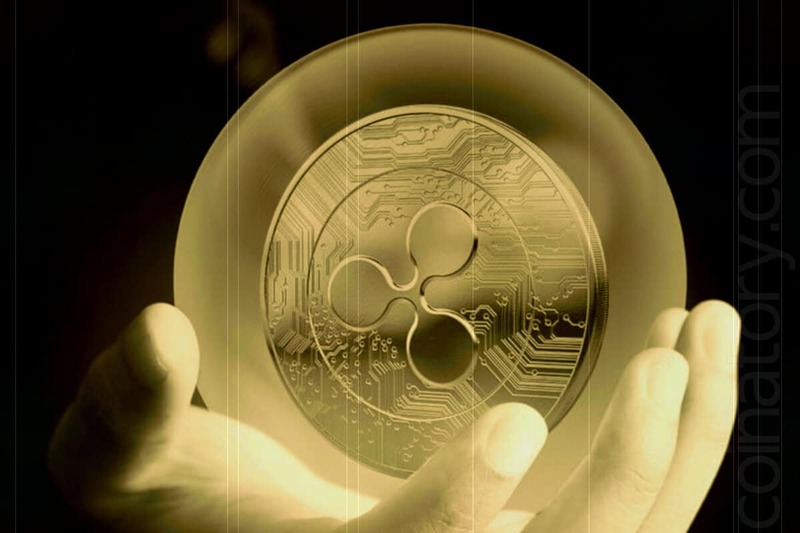 At the moment of inception, principles of development were laid in its foundation, which at the moment essentially distinguish Ripple from the rest of the crypto market. For example, one of the significant differences is that Ripple cannot be mined. The total number of coins was created immediately and can not be increased. On the other hand, it may decrease, since during the transactions a small commission is charged, which immediately burns. A very slow but steady decrease in the number of coins leads to the fact that the Ripple network is reliably protected from inflationary processes. The mechanism and purpose of Ripple have fundamental differences. It would be more correct to call XRP the protocol for financial transactions. All decisions made at the time of its birth, allowed it to form a very strong fundamental component of this coin. This component allowed Ripple to maintain and increase its leading position. In the future, this will undoubtedly help the coin to become the leader of the whole industry. The most important figure in the formation of Ripple is undoubtedly Chris Larsen. This person is known as a big fan of the Internet. He believes that any values should be transferred between people at the same speed as ordinary information on the Internet. At the same time, having enormous experience in the financial sphere, he understood that it was absolutely pointless to fight with the banks and resist them. Choosing this path, in the eyes of the global financial system, you will be nothing more than a marginal who does not understand anything absolutely and does not understand even the simplest foundations of a financial organization in the world. Therefore, Chris Larsen took a different path – the path of cooperation with the current financial system. With this approach, it becomes much easier and more promising to introduce something new and develop it. In 2012, Chris Larsen teamed up with like-minded people and created RippleLabs. The purpose of this company was instant financial transfers. It does not have a single transaction center. In a simplified explanation – these are banks and their network that process all this information. This whole system runs on independent servers. In this case, the server can belong to anyone. However, new servers can log in only with the approval of Ripple itself. The goal pursued by Chris Larsen was to remove all intermediaries from the remittance chain. Thus, all commissions for making transfers, especially cross-border ones, and they can reach more than 10% of the amount of transfer, were simply abolished. The time of such transfers was also significantly reduced – from a week or more to several hours, or even minutes. According to Chris Larsen himself, he initially didn’t have a goal to create some specific cryptocurrency. The initial goal which he set was to improve the existing system of currency transactions. The creation and implementation of the XRP token in their services was a conscientious decision of all partners of the established company. Banks, in turn, using RippleLabs services, were forced to inject XRP tokens into the existing banking system. Now the company has more than a hundred clients among banks all over the world. You can find here such giants as Mitsubishi Motors Financial Services, Santander, Bank of America, LianLian Group and American Express. Ripple Inc continues to focus on expanding its services and entering new markets. Having won many customers throughout America and Europe, the next goal of the company is Asia. Ripple is able to provide effective solutions that will optimize the performance of existing financial markets. In Asian markets, xRapid and transactions in XRP are increasingly common. After long negotiations, Ripple still managed to gain a foothold in China. This opens up absolutely unprecedented prospects and is a precursor to the growth of the XRP coin. Not only fantastic growth prospects inevitably attract a large number of investors. By investing in Ripple and buying this coin you, as a market participant, know exactly what you get. You are not purchasing air, something ephemeral and invisible, created by an unknown group of enthusiasts with dubious prospects. You are investing in a REAL payment system that already works with a huge number of the largest banks around the world. The opportunity to invest in the future of the entire banking system of our world is rare to appear. Therefore, be sure to include the unique Ripple coin in your investment portfolio, if you haven’t done this already. We also advice you to check our daily cryptocurrency analysis. It includes price forecasts for Bitcoin, Ethereum, Monero and Ripple.